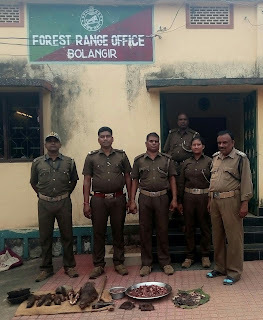 Acting on a tip up,a team of forest official led by Bolangir forest range Officer, BCRoul and others today morning raided a house in village Barkani and seized 10 kg flesh of wild boar and other parts include Both hind legs and forelegs and an axe and weighing machines . According to sources wild boar was causing damage to paddy crop and to kill ,the boar, two persons of the village with others attacked the wild boar in the night and killed him.After killing they brought the wild boar to the village and were sharing the meat with villagers. Two people of the village Barkani Satyaban Bhoi and Madhu Bhoi were arrested in this connection. 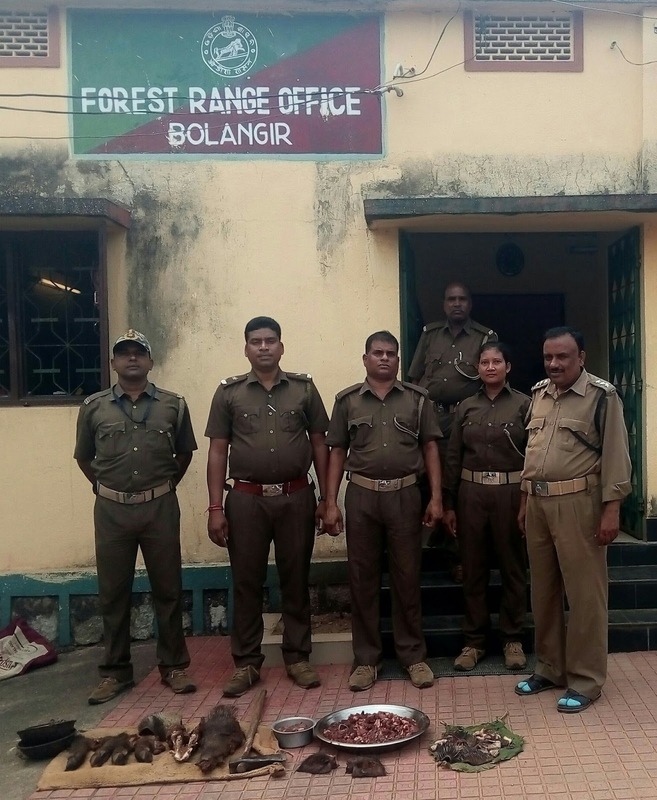 We have registered a case under section 9,and50of Wildlife Protection Act 1972 and punishable under section 51 of Wildlife Protection Act 1972 says Bolangir Range Officer BCRoul.